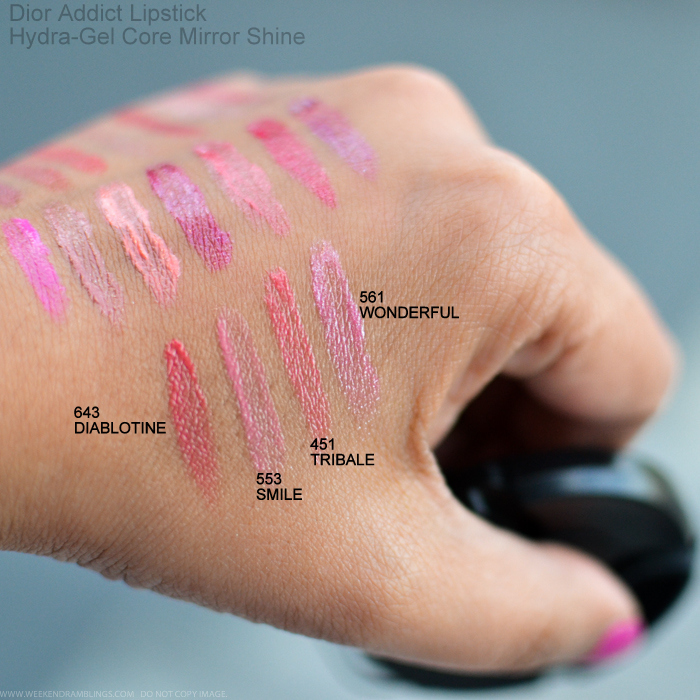 I haven't tried very many Dior lipsticks, and certainly not the Dior Addicts, so I cannot say how these would compare with the existing Dior lipsticks. 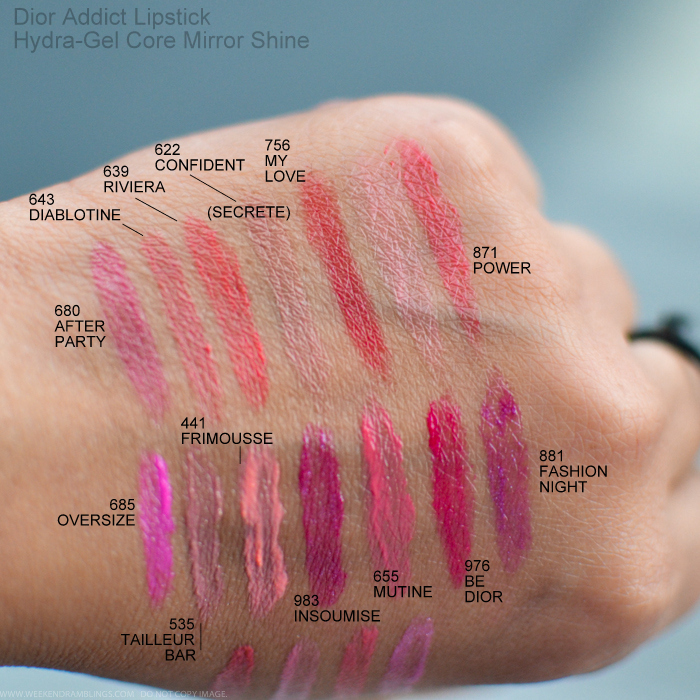 The new Dior Addict Hydra-Gel lipsticks definitely do seem quite moisturizing and deliver glossy color. 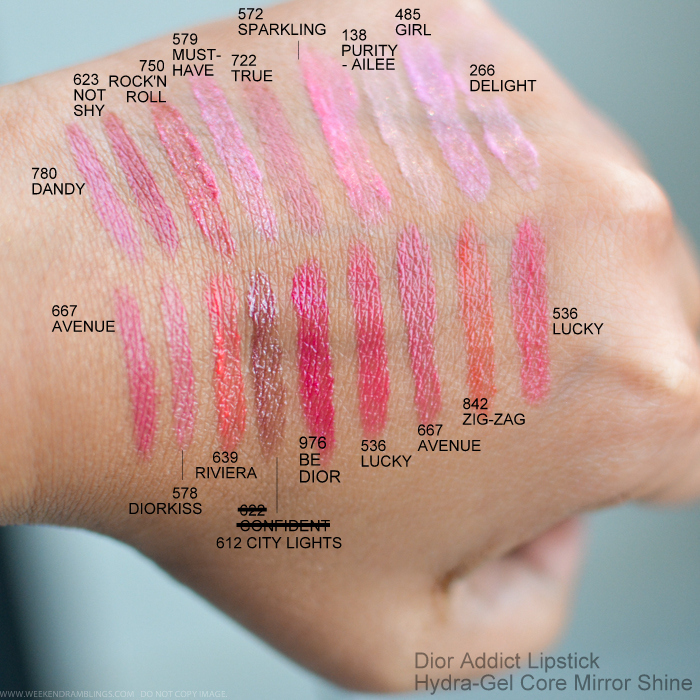 I like how the moisturizing gel core is embedded into the lipstick so it doesn't interfere with the lipstick application. 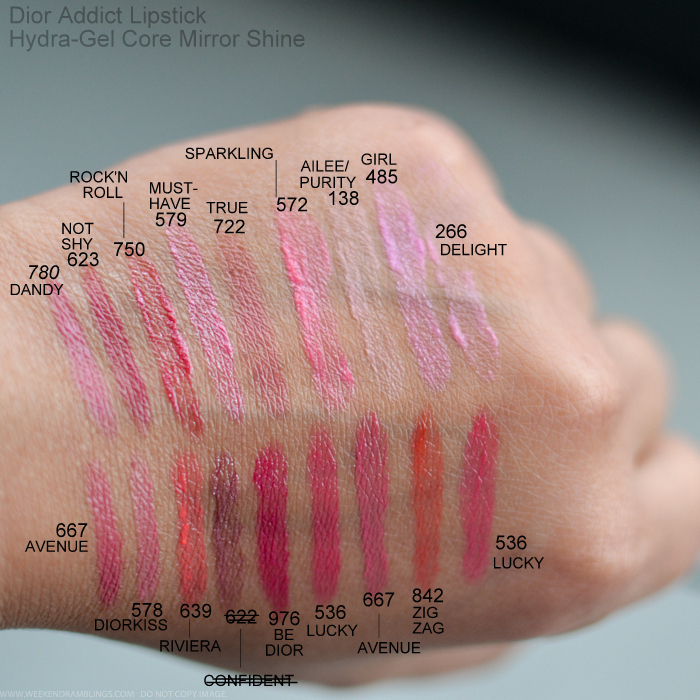 There are a lot of colors to choose from, and the formula seems easy to wear. 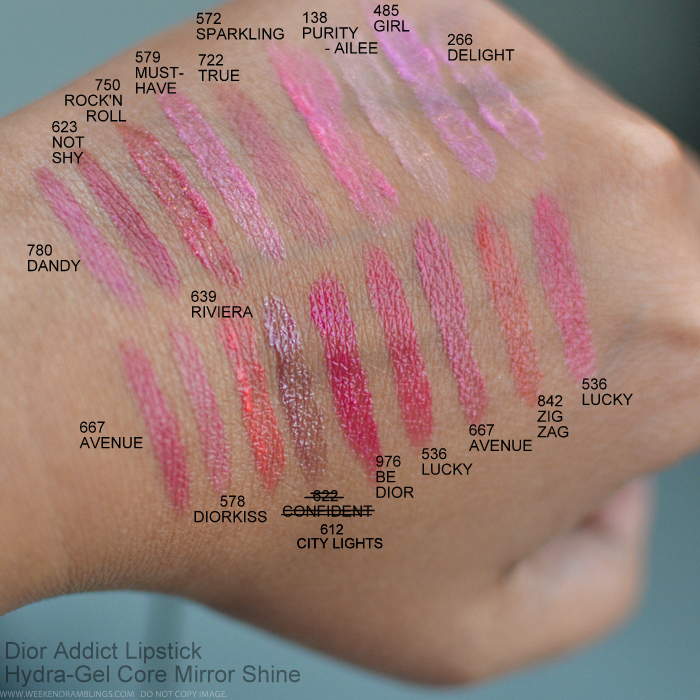 The formula of the lipsticks seems slightly sheer, and it's my favorite kind since I don't generally like heavy, opaque coverage, but of course, these can be layered over a lipliner for more coverage. 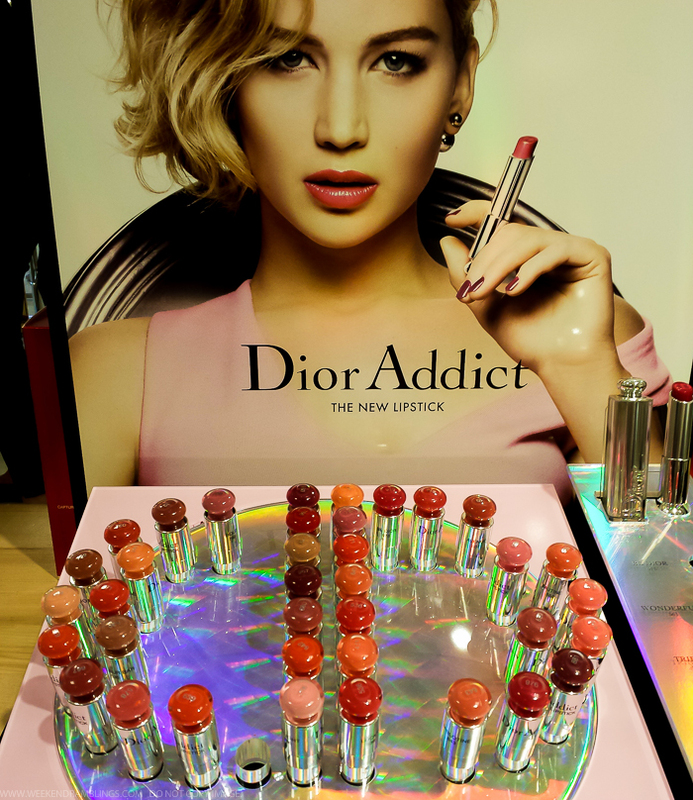 These would make for the perfect lip colors to pair with a fall-winter daytime makeup look - lots of bright colors to cheer up dull, grey days and a moisturizing formula that will keep the lips hydrated and nourished. 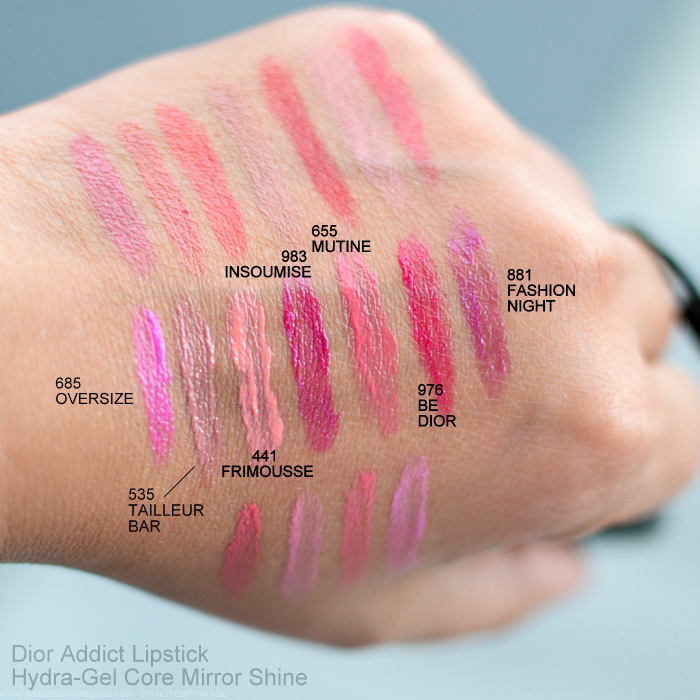 Do give the new Dior Addict lipsticks a try if you are looking for a glossy, shiny lipstick with a sheer pop of color.